Introduced at the same time as the lwb Family Eight Sports Coupe the 1932 Hornet version of the same body style very closely resembles that of the following season Morris Minor Special Coupe. 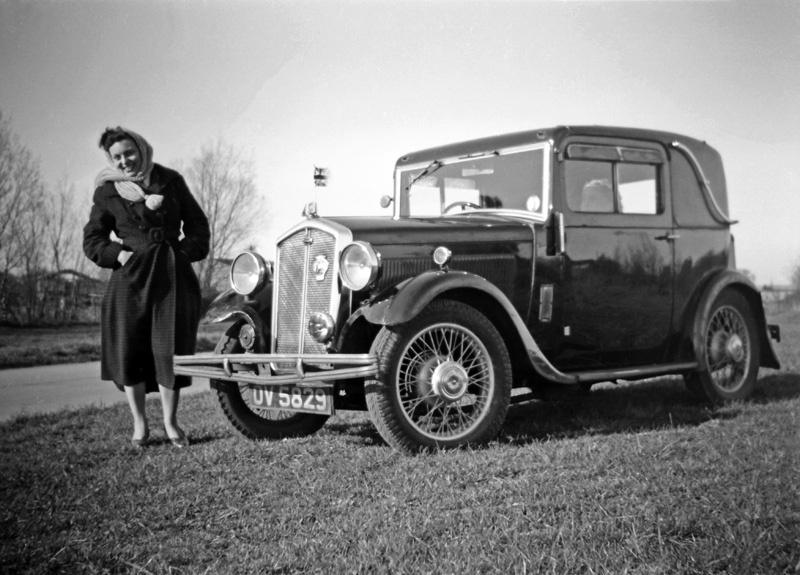 This eBay sourced snapshot of a late 1931 Birmingham registered car is one of six negatives of the vehicle (and its owners), all of which look to have been taken in the fifties if the female fashion and general condition of the car are considered. While there are images of surviving Hornet Coupes to be found on the internet, they are few and far between, which would seem to indicate that not too many survive. 2019 Rally Galleries – page now open!